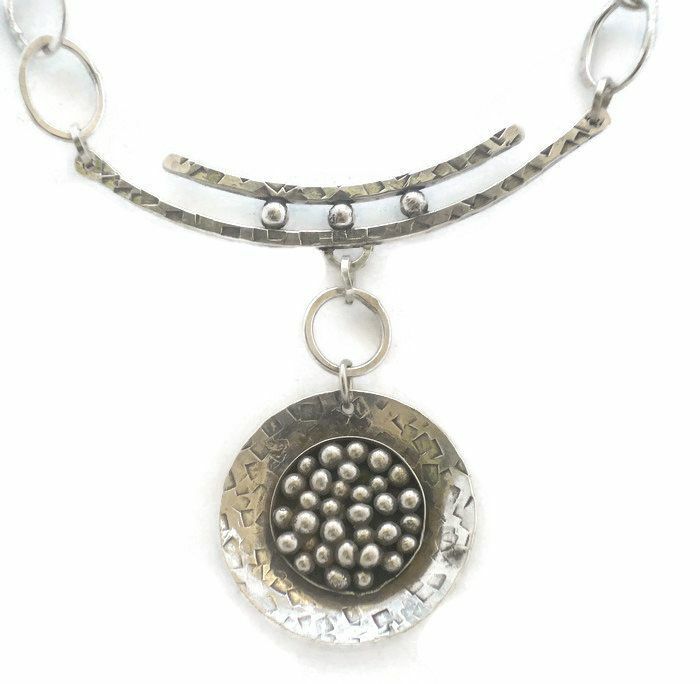 Stunning modern sterling silver necklace. A heavily textured 1-1/4" slightly concave disc, with a bezel frame containing heat-formed silver balls. It is suspended from a double silver bar and finished with a sterling cable chain. Adjustable in length from 17"-19"